Have you even been in trouble with the collections of DVDs for too much space needed? Or you can not play video for the unfamiliar formats? WinX DVD Ripper and WinX Video Converter are free solutions to convert DVD and video to all popular video formats easily and quickly. Since the beginning of this century, computer and digital media devices have become important parts in our human life. No matter ripping DVD movies for watching on computer or converting favorite video files to other video formats that are familiar, DVD and video converting software are always the best and easiest solutions. Digiarty Software, dedicated to multimedia software development, recently announced the release of WinX Free DVD Ripper and WinX Free Video Converter. Both the two software are totally free without any functions reserved. They are designed to convert DVD and video file to popular video/audio formats, and you could put and play them on the computer and other portable devices. "Since the beginning of this century, computer and digital media devices have become important parts in our human life. No matter ripping DVD movies for watching on computer or converting favorite video files to other video formats that are familiar, DVD and video converting software are always the best and easiest solutions." WinX DVD Ripper as a free dvd ripping software, can convert all types of DVD to popular video formats, like DVD to AVI, DVD to FLV, DVD to MP4, DVD to WMV, etc. This DVD ripper is designed with easy to use interface, even a child can rip DVD with it without any problem. And the ripped video is also the same with the original DVD. No quality will be lost during the ripping process. For more information about this free DVD ripper, please Download WinX DVD Ripper. 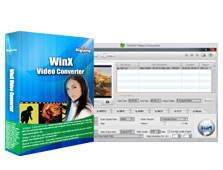 WinX Video Converter, a professional yet free video converting software, is capable of converting video of various formats, such as AVI, WMV, MPEG-1, MPEG-2, DivX, XviD, MP4 and so on. This free video converter allows users to convert video file quickly. And no virus, adware, spyware are included. More information about it, please Download WinX Video Converter. Besides the basic functions, other advanced features are also included in the two free software. Both WinX DVD Ripper and WinX Video Converter enables users to customize stylish video by adjusting parameter setting, like screen resolution, frame rate, video file size, aspect ratio, etc. 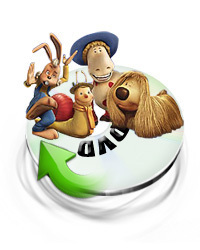 Users can also clip favourite video segment form the DVD or video files by dragging the slider, In addition, WinX DVD Ripper allows users add or remove subtitles as they need. With these two free converting software, it is easy for users to convert DVD and video file with high quality in few clicks. Established in 2006, Digiarty is a professional multimedia software provider specialized in providing DVD & Video related solutions, like DVD author, Video converter, DVD ripper, DVD player, etc. Aims at being the best digital media company, Digiarty is always devoted to continuous development and providing their customer advanced products and best services. For more information, please visit: http://www.winxdvd.com.